Celebrating their 25th Anniversary, New Edition was honored with the Golden Note Award by ASCAP at the Rhythm & Soul Awards. A top honor, awarded to artists for their enduring and innovative contribution to Rhythm & Soul music. Indeed a well deserved honor for the Beantown Boys. 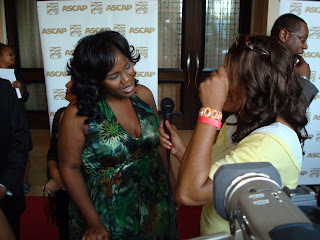 ASCAP's Rhythm & Soul Awards, an annual event held at the Beverly Hilton Hotel in Beverly Hills, CA, the day before the BET Awards also honored songwriters and publishers for their musical contributions for the year. 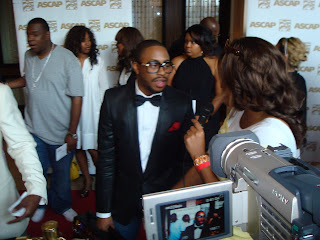 Below are photos from the red carpet arrivals. 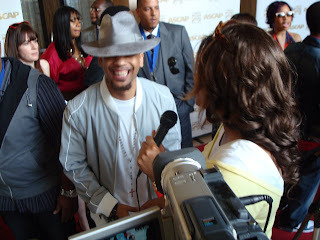 My angle on the carpet was to have the artists and songwriters discuss the influence New Edition had on their careers. I know they had projects to promote but most of the artists on the carpet credit New Edition for paving a way for their success so I wanted to do something creatiff. I approached the artists with questions like, "what is your favorite New Edition song, or who is your favorite member"? The idea went off well and it was very fun and funny to see artists flippin' out with excitement when asked those questions-the mood went from poised to silly fun, and ofcourse, I still asked every artist about their own personal accomplishments for the year as well as their upcoming projects. The video footage is coming soon, I promise. 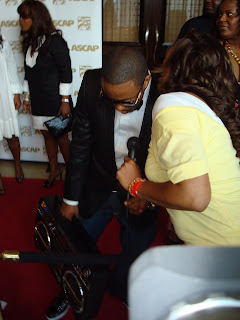 I'm giving him the "hands on the hip" stance because he told he me would be performing Candy Girl & Cool It Now as part of the New Edition ASCAP Awards tribute. I'm like, "you betta do a good job, young man" and indeed he did. 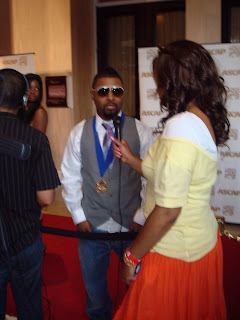 Chatting w/ Musiq Soulchild about his new single, "Radio" and his love for New Edition. He's a fan of all of the old school New Edition songs, ala, "Mr. Telephone Man". 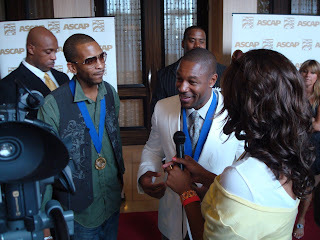 ASCAP Winners, Lonny Bereal & Tank. Chatting about their new production company, The Military and their favorite N.E. songs, "If It Isn't Love & Can You Stand the Rain". Me & Kelly chatting about our teenage New Edition crush. She was too much fun. O.N.E. 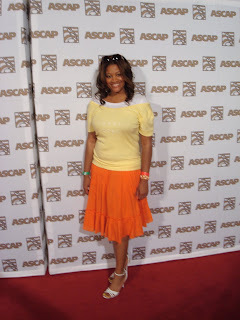 -Excited to be in attendance at the ASCAP Awards honoring New Edition. They mentioned being inspired by BBD. J. Holiday chats with the Chatter about his upcoming project. 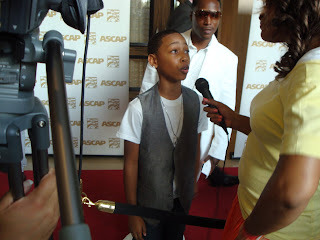 He also shared that his favorite New Edition song is "Can You Stand the Rain".